Time Travel at your own RISK!!! Plutonium is required to properly operate Flux Capacitor*. Plutonium is used by the on-board nuclear reactor which then powers the Flux Capacitor to provide the needed 1.21 Gigawatts of Electrical Power. *True Plutonium not Available at Premium Ejuice USA. Plutonium flavored e-liquid will not suffice. Please contact your local supplier. 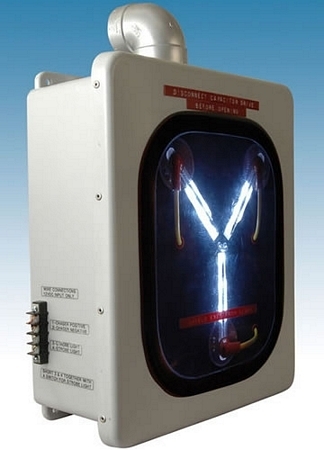 Flux Capacitor requires the stainless steel body of the 81-83 DeLorean DMC-12, V6 2.9L , to properly function. Once the time machine travels at 88 mph (142 km/h), light coming from the flux capacitor pulses faster until it becomes a steady stream of light. Then, time travel begins. This Flavor Concentrate is for Vapor Lab Stores Only.